A tool developed at the Lawrence Berkely National Lab to monitor X–ray beam intensity in real–time will be brought to market by MiTeGen. The technology was developed by Diane Bryant and Simon Morton at the Berkeley Center for Structural Biology at Berkeley Lab. It will allow for optimized experiments for studying the structure of proteins. 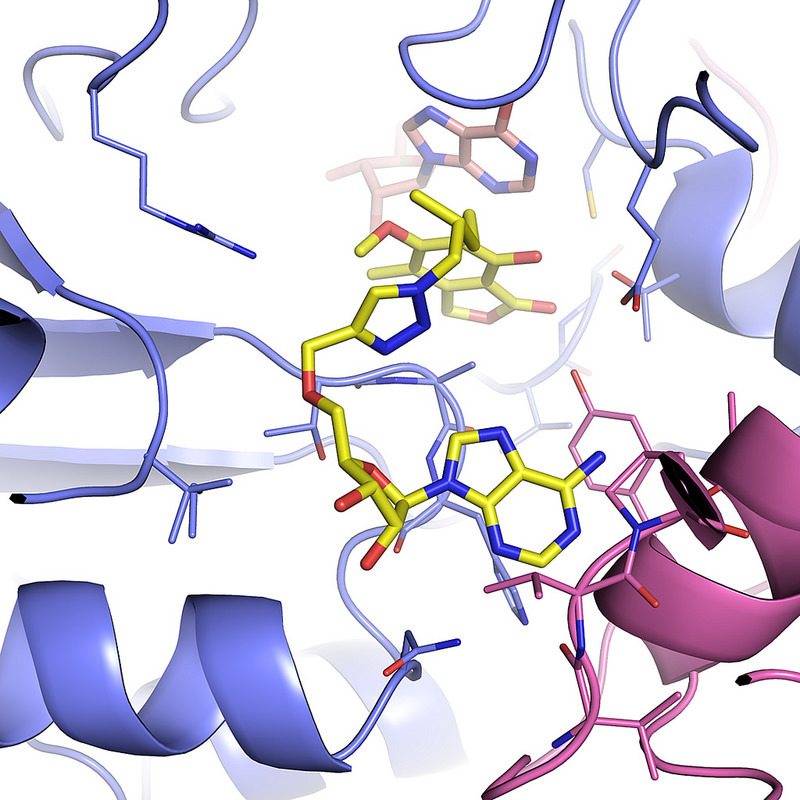 Researchers at Johns Hopkins University have utilized X–ray crystallography to determine the nature of the interaction between an enzyme in turbuculosis and a family of drugs called fluoroquinolones that target the enzyme. The findings suggest possibilities for developing new version of fluoroquinolones in the struggle against mult-drug resistant TB. X–ray crystallography was used to determine inadvertant interaction between modified T–cells and healthy heart tissue rather than cancer tissue. A new company offering gene–to–structure services and everything in between! HarkerBIO offers a comprehensive list of crystallography services out of the Hauptman-Woodward Institute in Buffalo, NY. Their Adaptive Surface Alphabet is a proprietary technique for rationtal protein engineering to promote crystallization. Through rational, conservative and highly selective mutagenesis, difficult to crystallize targets are frequently coerced into diffraction-quality crystals, amenable to serial crystallography efforts (e.g. iterative ligand soaking, fragment based crystallography, etc.). Interested in learning more about what HarkerBIO can do for your lab? To help make certain you have all of the tools needed to maintain a successful crystallography lab, we have continued to expand our offerings. From crystallization plates to pucks, we have what you need for your lab. Below are a couple of the areas where we’ve made additions.